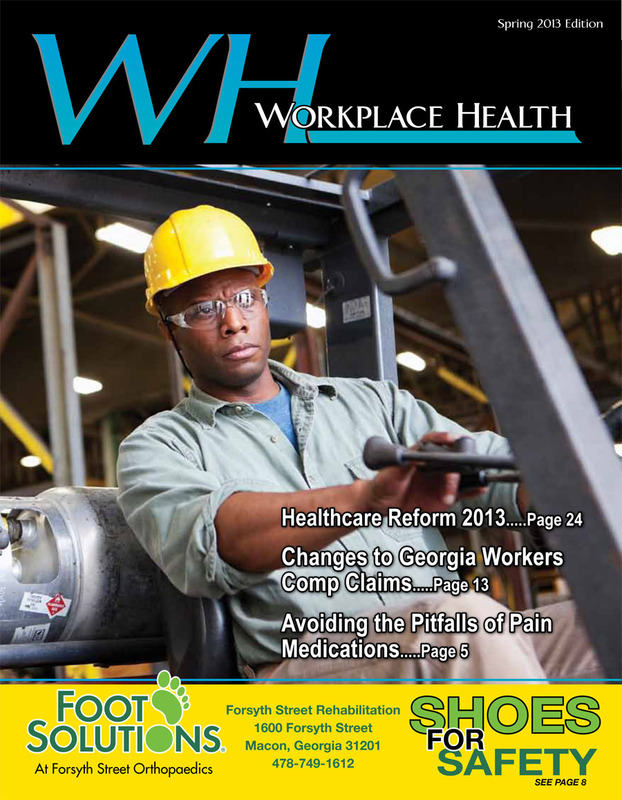 We are pleased to offer Workplace Health Magazine, a full-color specialty publication, twice each year. Workplace Health Magazine is dedicated to minimizing risk and promoting health in the workplace. The articles in each issue are a resource to keep the content up to date on the latest medical and legal issues related to Workers’ Compensation. We invite our advertisers to provide articles at no extra charge to keep the magazine relevant for our readers. We distribute the magazine at no cost to referring physicians, nurse case managers, third party administrators, safety engineers, employers and major self- insureds as well as claims adjusters. Our creative team is headed by Managing Editor, Garlana H. Mathews. She also serves as the copywriter. Talented graphic designers and a great print partner round out the production staff. Please contact Garlana, or download our information sheet to learn about advertising in the next issue! Click here to pay for your advertisement.